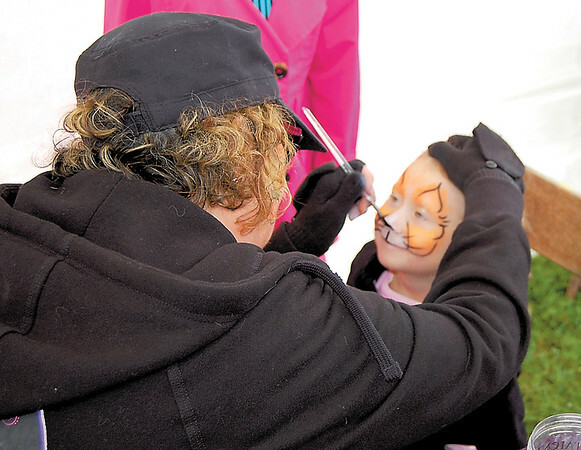 Three-year old-Mikenzie Garltic gets her face painted at Saturday’s Harvest Day celebration at Villa Maria. She was there with her grandmother. — Photo by Sam Luptak Jr.